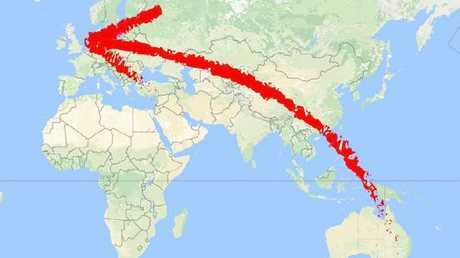 A HUGE spider stowed away 16,000km from Australia to Britain by hiding in a family's belongings. The 18cm huntsman was found in a shipping container at a removals firm in Mertsam, Surrey, The Sun reports. 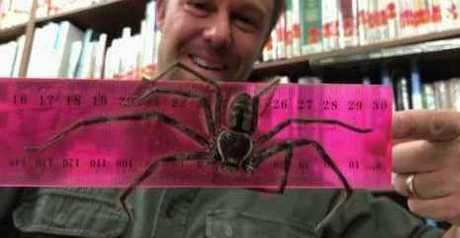 The giant 18cm arachnid had hitched a ride from Brisbane to Britain - a journey of around 16,000km - and was found among suitcases. Spider burrows under man's skin: While in Bali, Australian tourist Dylan Thomas found the spider had burrowed its way through a scar. It turned out he had survived by eating locusts which were also among the belongings. Shocked staff immediately called the RSPCA, who managed to safely confine the large spider. Animal collection officer, Annie Janes said: "From the empty locust shells found in the container it seems he has thankfully been able to find food during that length of time, but it's a long time to go without water, and he's lucky he didn't get squished by any boxes or furniture. "When I arrived he had been caught in a box and I carefully put a few drops of water down which he drank for some time, before confining him in a secure carrier. 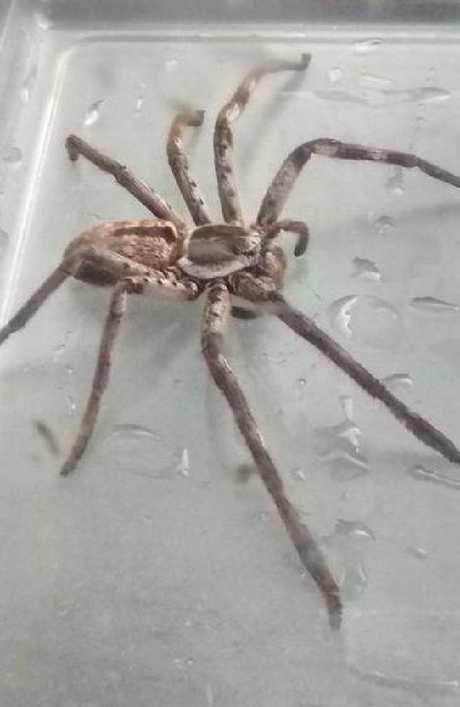 "Finding an exotic spider or insect in a shipping or removal container is not as rare as you may think - because the containers can include outdoor belongings like children's play equipment and garden furniture, spiders can get picked up by mistake." The spider was taken to Heathrow Animal Reception in Hounslow, who will arrange for him to be rehomed to a specialist. Janes added: "He was about the size of my two hands put together, roughly 18cm, so quite something to look at. 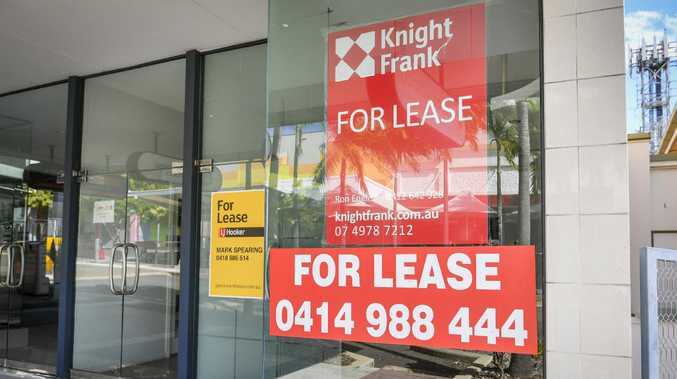 Huntsman spiders are not venomous but they can give a nasty bite." Huntsman spiders originate in parts of Australasia, Africa, Asia, the Mediterranean Basin, and the Americas. The giant variety, Heteropoda maxima, can grow to up to 30cm in leg span.